On November 14, 2017, Earth Conservancy received $2 million in state funding through the Multimodal Transportation Fund program. 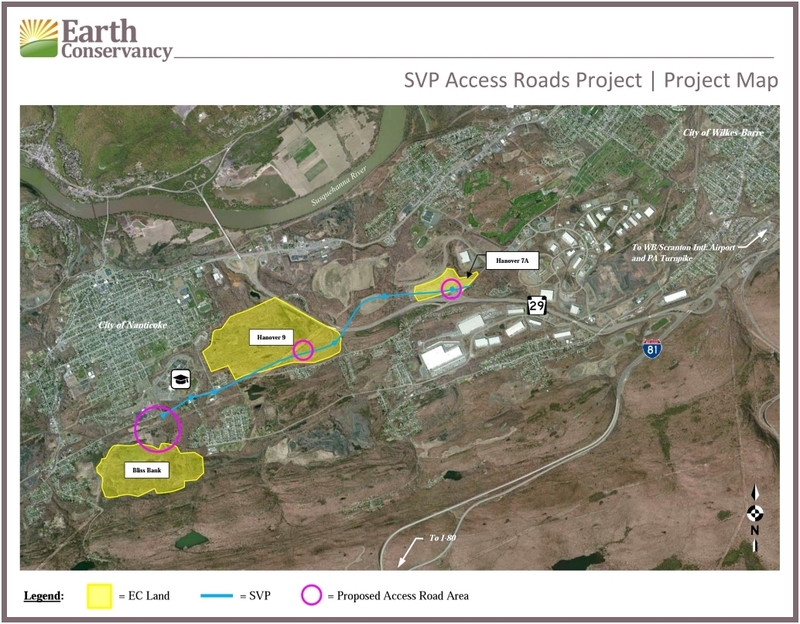 The grant will support the construction of three access roads to will connect three reclaimed properties to the new South Valley Parkway in order to encourage economic development. We thank Senator John Yudichak and Representative Gerald Mullery for helping to secure this funding, as well as their ongoing support of our mission of regional revitalization. We also extend our thanks to Reilly Associates, who assisted with preliminary engineering design for our application. A truly exciting opportunity for Earth Conservancy and the communities we serve.